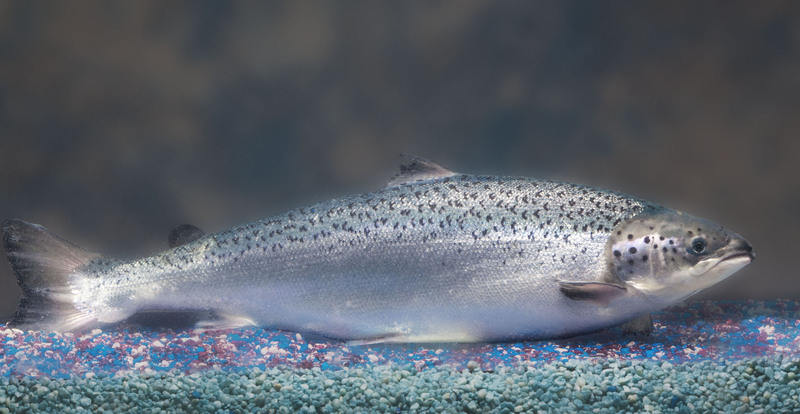 A number of media outlets including the New York Times reported on the June 15 vote on the House floor to deny funding for authorization of the genetically engineered AquAdvantage salmon. In response, BIO President and CEO Jim Greenwood admonished the action for setting a dangerous and inappropriate precedent. “This amendment does a grave disservice to our Government’s science-based regulatory system. President Obama has called for America to lead on new technologies so as to foster new industries, more jobs and enhanced economic benefit. This amendment would present new barriers to achieving that goal. “Allowing politicians to substitute their judgment for that of scientific experts within the Food and Drug Administration circumvents a comprehensive and well-established approval process, and sets a dangerous precedent for the development of any policies related to food production and human health. According to some, I am a giant agribusiness — the worst kind of factory farmer. What qualifies me for this dubious distinction? Nothing except that, based on U.S. Department of Agriculture (USDA) figures, my farm falls in the biggest six percent of U.S. farms. And these farms account for the bulk of federal farm policy support. It sounds pretty damning, which is why it is the top talking point used by opponents of farm policy looking to dismantle a system, they say, is too tilted to agribusinesses and oppresses small, family farms. But there’s a lot more to this story than a 10-second sound bite would let on. For example, the USDA considers anyone with sales of more than $1,000 to be a farm, so that six percent figure is a little misleading. The weekend grower on the side of the road selling tomatoes from her garden would be a farmer in the government’s eyes. Ditto for the young retiree trying his hand at wine-making. Ironically, my business is probably more in line with what most of us consider a farm. It is family-run. It was passed down to me from my father and grandfather. It is a full-time effort to support my wife and kids. And, in order to make it my livelihood, it has sales exceeding $500,000. Again, that figure can be spun to sound really bad, since most people don’t know the difference between revenue and profit. But remember, the $500,000 represents gross sales, not how much money the farm or farmer is making. A farmer may produce half-a-million dollars worth of goods but might have to spend just as much to grow the crop, making it a break-even proposition and sometimes a losing one. Seems odd to call these farms corporate titans, especially when you consider that the Small Business Administration classifies most businesses as “small” if their gross sales are under $7 million a year. How much profit could a “giant corporate farm” like mine hope to generate? The USDA puts profit margins in agriculture at 10 to 15 percent. So under favorable circumstances — Mother Nature cooperates, market prices are fair, oil doesn’t spike and you don’t run into any problems like equipment breaking down and needing expensive repairs — that $500,000 in sales could generate between $50,000 and $75,000 in profit a year, according to the USDA’s estimates. No corporate executive in his or her right mind would get into such a risky business with such little profit upside. That’s why 97 percent of U.S. farms are still owned by families, not by corporations like Cargill, or ADM, or Kraft. I recognize that some may construe this article as a complaint about farm profits or an attack on smaller farm operations, but that is not my intent. Farm prices are way up right now and near an all-time high — and as a result, federal spending is way down. And I know that if America is going to meet tomorrow’s food and fiber needs it will take farms of all shapes and sizes. Smaller, organic growers are part of this puzzle, as are larger, conventional operations like mine, which supply more than three-quarters of our country’s food and fiber. She’s right. If this nation is going to keep pace with an exploding global population, and if it’s going to do it in a sustainable way, then responsible farmers of all sizes have to come together in supporting and encouraging technology and best management practices. In addition, America needs to urge the next generation to to get involved in farming, despite the low profit margins and risk, to replace aging growers who are retiring. Our farmers and ranchers are a thin green line standing between a prosperous nation and a hungry world. It’s time to refocus on holding all parts of this thin green line instead of tearing it apart with manipulated numbers and disingenuous spin. As the world celebrates Earth Day 2011, the biotech industry is doing its part to make the food we eat and the products we consume more environmentally sustainable – from reducing carbon dioxide emissions to preserving endangered species. Here are five ways that biotech is making farming earth-friendly. 1. Protecting Soil, Air and Water: Farmers have found that the use of biotech crops can reduce the need for plowing to control weeds. No-till agriculture, in limited use prior to 1996, has enabled farmers to shift to simpler, more effective methods means of control since biotech crops are able to tolerate herbicides with low environmental impact. This has led to improved soil health and water retention, reduced pesticide runoff, and reduced greenhouse gas emissions. For one year alone, fuel savings combined with biotech crop-related carbon sequestration eliminated nearly 39 billion pounds of carbon dioxide emissions in 2009 – equivalent to removing 7.8 million cars from the road in one year. Watch a video about American farmers. 2. Conserving the Environment: Biotechnology can help produce environmentally friendly farm animals. Animals and their feeds have been improved through biotechnology to reduce animal wastes, minimizing their impact on the environment. Watch a video about genetically engineered animals. 3. Preserving Endangered Species: Today’s reproductive and cloning techniques offer the possibility of preserving the genetics of endangered species. In addition, studies of endangered animals can also result in increased genetic diversity which can result in healthier populations of the species. Watch a video about endangered species. 4. Promoting Energy Security: Biotechnology is at the heart of biofuels. Biofuels are made from everything from corn to soybeans to sugar beets to wood and grasses – even algae. They are also cleaner burning than petroleum-based fuels and can reduce greenhouse gas emissions by 20 percent or more! Learn more about the potential of algae. 5. Saving Plants from Disease and Pests: Biotechnology is helping food plants resist disease and pests. For example, a genetically enhanced papaya literally helped save the Hawaiian papaya industry for farmers who suffered devastating losses from the ringspot virus – there was no other effective treatment. Learn more about the biotech papaya. To learn more about how biotech is making farming earth-friendly, download BIO’s 2011 Earth Day fact sheet! A good scientist will never say there is zero risk, only that risk is minimal or negligible. Unfortunately, that isn’t good enough for consumers when it comes to the food supply. It’s now been 15 years since the introduction of genetically modified crops. A lot of consumers don’t even realize that GM crops have been part of their diet for more than a decade. If you ask them, they’d prefer not to have any GM crops because it sounds scary. Worldwide, the main GM crops are corn, soybeans and cotton. So far, herbicide tolerance and insect resistance have been the traits commercialized. Both have been a boon to production while helping to preserve the environment. We’re just at the cusp of GM traits that will more directly benefit consumers – drought tolerance, special food quality attributes and nitrogen use efficiency. Those benefits may never be realized if the consumers of the world grow more risk averse. There are 100 million farmers growing GM crops, most of them in developing nations, but major opposition to the technology still exists, particularly within Europe. After 15 years of growing GM crops, there is not a single credible health concern. The term genetic modification is actually a misnomer. We’ve been doing that for centuries through various plant breeding methods. The new technology is better described as genetic engineering. If anything, it provides more precise control over the outcome. The technology is intensely regulated. Approval of new traits requires exhaustive research. Is the risk zero? No, but it’s extremely low and the risk isn’t zero under conventional plant breeding methods either. Affluent Canadians, Americans and Europeans can afford to reject technology. In fact, many reject all aspects of intensive agriculture. Go ahead and buy organic vegetables and free range chickens if it makes you feel better. But we can’t feed the world without the continuing application of biotechnology. There will be seven billion people on the planet by the end of this year and nine billion by 2050. World food production is falling behind the growth in demand. Throw in climate change or at least climate variability. Add in the fact that we want to reduce the use of pesticides. We don’t want to take more land out of its natural habitat, but we pave over good farmland every day to expand our cities. And many nations are running out of the water they need for irrigation. The blog Plenty to Think About focuses on the issues surrounding global food production and world hunger. Although the blog is sponsored by Elanco, its purpose is to serve as an online forum where many voices can share their perspectives on what it will take to feed more than 9 billion people by 2050. By 2050, the world will need to produce 100 percent more food, and according to the United Nations Food and Agriculture Organization, 70 percent of the increased production must come from efficiency-enhancing agricultural technologies,” says Jeff Simmons, President, Elanco Animal Health. The white paper, “Making Safe, Affordable And Abundant Food a Global Reality” addresses how highly efficient food production can help alleviate hunger and exposes consumer perceptions about technology use. This easy-to-read report explains technology’s role in increasing agricultural production around the globe, and how we can better grow more food crops for more people in more enivonmentally sustainable ways. 1. Ensuring the human right of all people around the world to have access to affordable food. 2. Protecting all consumers’ rights to spend their food budget on the widest variety of food choices. 3. Creating a sustainable global food production system, which is environmentally right. The challenge of world hunger is complex and multifaceted. Allowing the entire food chain access to safe, efficiency-enhancing technologies is an essential component of a comprehensive solution to the challenge – both locally and globally. In addition, protecting the right to choose these technologies can make the dream of safe, affordable and abundant food a reality worldwide. For more information, visit www.plentytothinkabout.com. Since the first biotech crop was commercialized in 1996, questions have been raised about why farmers are adopting biotechnology (it’s more sustainable, more environmentally friendly and less costly) whether or not biotech crops are as safe as conventional crops (they are), and why foods derived from biotech crops don’t require special labels. 1. Is biotechnology less safe than other plant breeding techniques? Scientists around the world agree that the risks associated with crop plants developed using biotechnology are the same as those for similar varieties developed using traditional breeding methods. 2. Are foods derived from biotechnology as safe to eat as foods produced using conventional crops? Yes. Federal regulatory agencies ensure the safety of biotechnology foods, and biotech plants and foods are among the most tested in history. The ultimate scientific authorities recognized in this country, such as the National Research Council of the National Academies of Science, the American Dietetic Association, the American Medical Association, the United Nations Food and Agriculture Organization and the World Health Organization have concluded that foods with biotech-derived ingredients pose no more risk to people than any other foods. Biotech crops have been cultivated for more than 15 years, and foods derived from agricultural biotechnology have been eaten by billions of people without a single documented health problem. This is a remarkable food safety record, but not surprising, given the pre-market scrutiny and testing of biotech crops and foods. 3. Are crops developed using biotechnology safe for the environment? Yes. Extensive scientific evaluation worldwide has not found any examples of ecological damage from biotechnology crops. In fact, the National Research Council has documented that, in addition to their safety, biotech crops contribute positively to farm sustainability in the United States, due to their environmental benefits and economic benefits to farmers. Current crops designed to resist pests and tolerate herbicides have already cut chemical usage on farms significantly. Herbicide-tolerance promotes practices like no-tillage farming that reduce soil erosion, prevent water loss, and even limit release of greenhouse gases. To ensure that a new plant is safe for the environment, extensive field-testing is conducted under USDA and EPA oversight. 4. Are the products of agricultural biotechnology regulated? – U.S. Department of Agriculture oversees the interstate movement and field-testing of biotechnology-derived plants “regulated articles” to ensure that the environment is protected. A petition for “nonregulated status” must be granted by the USDA prior to commercial growth and sale of any bioengineered crop. – The Environmental Protection Agency is responsible for ensuring that pest-resistant biotech varieties are safe to grow and consume. It regulates environmental exposure to these crops to ensure there are no adverse effects to the environment or any beneficial, non-targeted insects and other organisms. – The Food and Drug Administration imposes on foods developed through biotechnology the same regulatory requirements FDA uses to safeguard all foods in the marketplace. The FDA has both premarket and postmarket authority to regulate the safety and labeling of all foods and animal feed. 5. Do foods produced using biotechnology require special labeling? No. The FDA’s evaluation of a biotechnology food focuses on its characteristics, not the method used to develop it. A new biotechnology food that is “substantially equivalent” (meaning it has the same chemical composition and nutritional value to conventional varieties) does not require a special label. The U.S. Food and Drug Administration’s regulations state that requiring the labeling of foods that are indistinguishable from foods produced through traditional methods would mislead consumers by falsely implying differences where none exist. According to the 2010 Consumer Survey by the International Food Information Council (IFIC), consumer satisfaction with current information on food labels remains high. Only 18 percent of consumers supported additional info on food labels, with only three percent supporting the labeling of biotech foods. 6. Do most foods contain biotech ingredients? More and more farmers in the United States and around the world are turning to biotechnology so they can grow plants that yield more per acre and are resistant to diseases and insect pests while reducing production costs and contributing to more environmentally friendly farming practices. – In the United States, the majority of all the corn (86 percent), soybeans (93 percent) and cotton (93 percent) are grown using biotechnology. – In 2010, biotech crop area globally grew ten percent to reach 366 million acres. – In the United States, more than 165 million acres of biotech crops were planted in 2010, up from 158 million acres in 2009. The primary biotech crops grown in the United States are corn, cotton, and soybeans, but also canola, squash, papaya, alfalfa, and sugarbeet. – A record 15.4 million farmers in 29 countries are using agricultural biotechnology. Ninety percent (14.4 million) of these are resource-poor farmers in developing countries. 7. Do biotech foods cause allergies? To date, no allergic reactions have been attributed to any food product of biotechnology. Every crop produced through biotechnology is screened in advance for its potential to cause allergic reactions, and none have demonstrated any potential to be allergenic. In fact, advanced techniques are being used to remove allergens from certain foods. Hypoallergenic rice and soybeans have already been developed, and researchers are at work on wheat. The removal of allergens from foods will open up a broader range of products for those with food allergies to enjoy. 8. Do farmers use more pesticides when they grow biotech crops? No. In fact, biotech crops have helped reduce pesticide spraying (1996-2008) by 352 million kg (a decrease of 8.4 percent), and as a result, decreased the environmental impact associated with herbicide and insecticide use on the area planted of biotech crops by 16.3 percent. In addition, herbicide tolerant biotech crops have led to the adoption of no/reduced tillage production systems. This has reduced soil erosion and improved soil moisture levels. 9. Do biotech crops “contaminate” other crops? No. The fact is, nature has used pollen to carry genes between plants for hundreds of millions of years. Not one organically certified farm has lost its USDA certification due to the presence of unintended plant DNA (from either conventional or biotech varieties) since the beginning of the Federal National Organic Program. 10. Can agriculture biotechnology help feed a growing global population? Yes. Agricultural biotechnology can be a key element in the fight against hunger and malnutrition in the developing world. According to the United Nations Food and Agriculture Organization, feeding a world population of 9.1 billion in 2050 will require raising overall food production by 70 percent (nearly 100 percent in developing countries). To meet this challenge, farmers will need to find ways to grow more food more sustainably. Biotechnology has already helped increase food and feed production. For example, biotechnology traits have added 74 million tonnes and 79.7 million tonnes respectively to global production of soybeans and corn since its introduction in 1996. 12 percent, and cotton yield has increased about 31 percent since 1995, in part due to biotechnology. The Los Angeles Times ran an article on November 26 debunking the key argument of activist groups who oppose the genetically engineered AquAdvantage salmon. The Food and Drug Administration’s public comment period for labeling requirements for a genetically engineered salmon ended not so quietly, with a flurry of press releases leading up to Monday’s deadline. They included an announcement by a group of lawmakers from Alaska and the Northwest that would prohibit FDA approval of a GE salmon, or require that it be labeled as genetically engineered in the event regulators approved the fish. A key element of the last-minute volley was a letter from a dozen environmental, science and consumer groups to FDA Commissioner Margaret Hamburg urging her to look carefully at possible adverse ecological consequences as it evaluates a Massachusetts firm’s application for a GE salmon for human consumption. If approved, the salmon would be the first GE food animal. “We anticipate that a comprehensive [review] will show that the [GE] salmon pose a threat to wild salmon populations and the health of marine and freshwater ecosystems around the world,” the letter states. The AquaBounty Technologies’ AquaAdvantage salmon reaches market weight in about half the time of a regular North Atlantic salmon. The letter reminds the FDA of the need to consider a worst-case scenario: that the GE salmon, which is to be raised in closed, land-based facilities, will escape and inflict unknown consequences on the environment. It leans heavily on perhaps the most hotly disputed evidence in the GE salmon debate, the so-called Trojan Gene effect, in which a specific genetic advantage -– in this case the AquaBounty salmon’s ability to grow faster — enables it to outcompete unaltered salmon, leading to their demise. The letter states: “If salmon genetically engineered to grow faster than wild fish escape confinement, they will threaten the health and survival of wild salmon populations. According to research from Purdue University, if just 60 GE fish were released into a wild population of 60,000, the wild population could be extinct within 40 generations. This result is driven by the “Trojan gene effect” in which specific fitness advantages in an otherwise less fit organism result in gene spread and an ultimate weakening and eventual collapse of the species. Not so, says the author of the Trojan Gene hypothesis, William Muir, an animal science professor at Purdue who has been yelling loudly, to little effect so far, that his work is being misrepresented by the GE salmon’s opponents. Muir said the assumption at the time of the study in 1999 was that a GE salmon would grow faster and bigger and that its size would be an unbeatable advantage in mating. But AquaBounty salmon don’t get any bigger than ordinary salmon, they just reach full size faster, so any size advantage they have is temporary. More importantly, Muir said that studies show that transgenic salmon are lousy at the courtship required for mating. There’s no indication of when the FDA, which has been mulling the GE salmon for more than a decade, will make a decision, though the agency’s has made a preliminary determination that the fish is safe for people to eat and does not pose a significant environmental risk. The FDA’s veterinary advisory committee in September recommended further study of the fish’s potential to trigger allergies or other health problems in some consumers. While the panel did not make a recommendation either to approve or reject the fish, comments and questions seemed to convey a sense that the fish is safe for human consumption, though several panelists expressed concern about the small sample sizes of some studies.